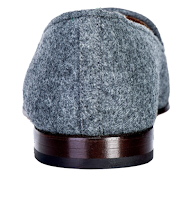 One of the most elegant and familiar of menswear fabrics is grey flannel. 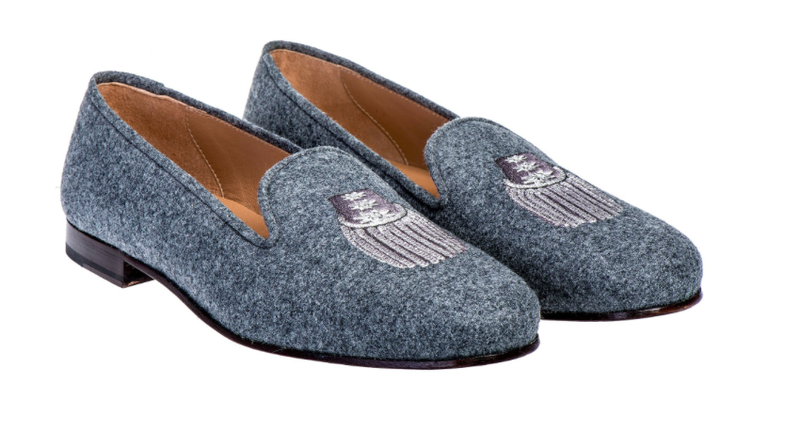 Stubbs and Wootton offers up a nice take on using the lauded textile with this new Epaulet Grey Flannel Slipper. 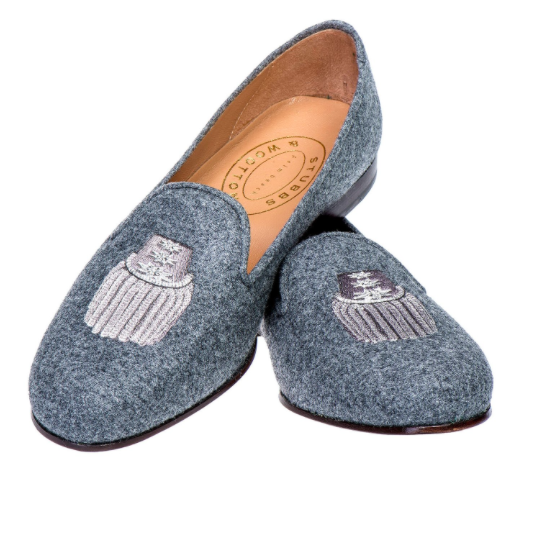 The upper features a grey flannel outer with a characteristic silver grey embroidered epaulet on the front. This slipper is completely leather-lined and has a mahogany leather sole. Pair this with white for an elegant summer ensemble or take them right into fall with a thin cashmere sweater and khakis. 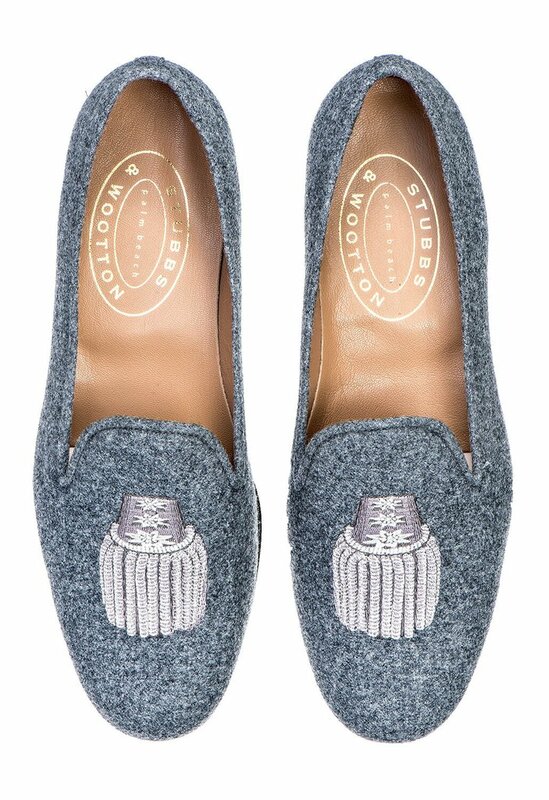 Available now at StubbsAndWootton.com.